In this release we feature social justice, information governance, Bailey Urso, and the July issue of InsideOCULA. And the nature of the information world is the topic of Chris Graves’ three part consideration of information governance. In part two, Information Governance by Design, Chris discusses recordkeeping principle and focuses on a key word: accountability. The Random Library Generator column continues. This time we meet Bailey Urso. We find out about climbing, aerial yoga, archeology and, of course, medical librarianship. And finally, this release of Open Shelf includes InsideOCULA for July 2015. 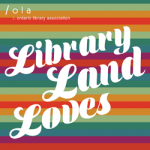 The newsletter of the Ontario College and University Libraries Association includes stories about virtual reality, collaborative futures, and participant-driven photo-elicitation research.